Once covered by wild grasses, America's heartland is by nature a grassland, populated with plants whose ecological importance, practical value, and subtle beauty we are only now beginning to comprehend. Of the 3,000 species of wild plants in Oklahoma, Kansas, and Nebraska, in the heart of the heartland, only two of every ten are grasses, and in some prairies just one or two of these can account for 80 to 90 percent of the ground cover. It is these major wild grasses, the native and the naturalized, that this field guide covers, as well as some not found in such large numbers but nonetheless widespread and easily noticed. 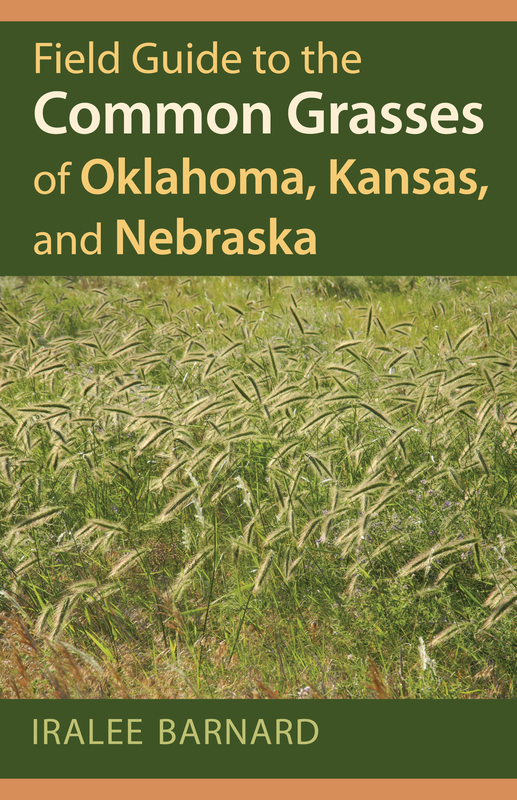 From the more familiar (like big bluestem, little bluestem, Indiangrass, switchgrass, buffalograss, sideoats grama, and blue grama) to the less recognized (such as ticklegrass, rice cutgrass, and prairie wedgegrass), from the weedy to the desirable, each of the seventy species profiled in these pages appears in full-color, its fundamental characteristics clearly identifiable by novice and expert alike: flowers and seed heads, leaf details with size comparisons, and whole mature plant pictures. Though of ever broadening interest—to ranchers, gardeners, naturalists, and restorers of prairies and native landscapes—grasses are notoriously tricky to identify. A number of features of this guide make the task considerably easier. A handy system of "finding lists," allows a user to navigate quickly to identification of an unknown grass. Descriptions, written in clear and easily understood terms, focus on the primary characteristics of each species and are accompanied by distribution maps. And an illustrated glossary, leaf comparison section, and table of grass flowering dates provide additional information and opportunities for recognizing and appreciating various species. Putting these plants into ecological and cultural context, botanist and grass specialist Iralee Barnard gives readers, whether curious amateur, passionate naturalist, or professional, a new way of understanding the grasses of America's prairies and plains, including their plant structures and adaptations, their natural history, ecological associations, and cultural importance. Iralee Barnard is a retired botanist who worked with the National Park Service at the Tallgrass Prairie National Preserve in Chase County, Kansas, establishing and managing photopoint vegetation monitoring, conducting plant surveys, preparing and curating plant voucher specimens, and mapping rare and invasive plant species. While Extension Research Botanist and Interim Herbarium Director at Kansas State University, her work involved providing identification of plant specimens received from 105 county agents across the state, as well as development of botanical educational programs and materials.